VANCOUVER -- Condo and townhouse sales in Vancouver are firmly in a seller's market, while the market for detached homes is edging toward a buyer's market, new figures from The Real Estate Board of Greater Vancouver suggest. In September, the sales-to-active-listings ratio was 14.6 per cent for detached homes, 42.3 per cent for townhomes and 60.4 per cent for apartments, according to the REBGV. "Downward pressure on home prices does occur when the ratio typically dips below around 12 per cent for a constant period," said Jill Oudil, board president. For instance, that could mean during a particular month there are three sales for 25 active listings. "When there is a downward pressure on prices, it becomes more of a buyer's market," she said. The opposite happens with upward pressure on prices and the creation of a seller's market, when the ratio stays above 20 per cent for several months, the REBGV said. "I think it's just a bit of a changing market right now," Oudil said, adding more house hunters are looking at condos and townhomes due to affordability issues, which reduces the number of people looking for detached homes. The MLS Home Price Index composite benchmark price for all residential properties in Metro Vancouver was $1,037,300 in September, up 10.9 per cent compared with a year ago. The demand for condos and townhouses helped push the number of sales in September 13.1 per cent above the 10-year historical average for the month. There were 2,821 homes sold in the region last month, according to the board -- up 25.2 per cent from 2,253 in Sept. 2016. 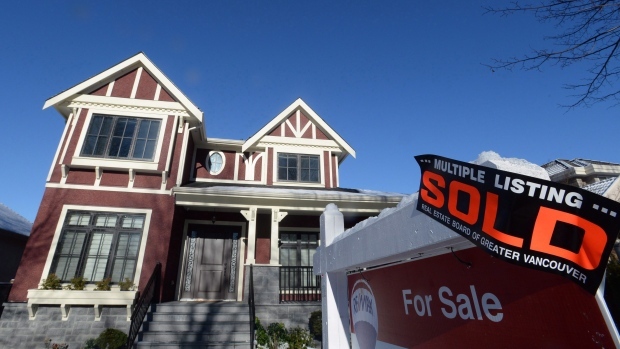 Detached homes made up 30 per cent of last month's sales. Sales slipped 7.3 per cent from the 3,043 homes sold in August. Stephen Sumner spent years in excruciating pain. Once he found a cure, he dedicated his life to sharing it.